Skip Counting is an important math skill, also serves as a foundation for addition and multiplication. 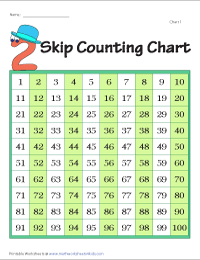 Worksheets on skip count by 2s include number lines and skip counting with objects. It also consists of math activities like mazes and connecting dots. 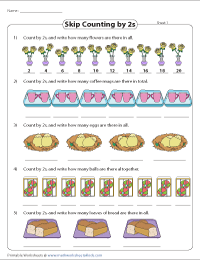 Have fun and strengthen your skills with these math activities. The display charts consist of various colorful themes. 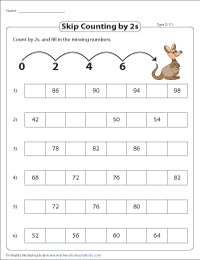 Besides, it is a visual treat for kids to learn forward skip counting by 2s. Fill in the missing numbers in the partial and blank charts. Assist kids to skip count by 2s in the reverse order using the charts featured here. 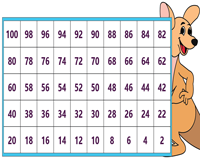 The attractive charts grab the attention of the kids instantly and make learning fun. Skip count by 2s to complete the number line. 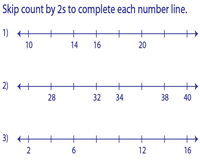 Each worksheet consists of seven number lines. Have fun by skip counting in 2s with the objects. Find out how many are there in all. Help Jamie and Sansa attend the Sunday service and Mary reach the other side of the pond. Skip count by 2s to reach their destinations. A template is also provided for each level. Skip count by 2s to fill in the missing numbers on each caterpillar. There are five problems in each worksheet. The kangaroo hops and skips a number. Fill in the missing numbers. Each worksheet consists of six problems. Students count backwards with ease after they become proficient in forward counting. 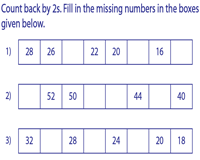 Count back by 2s to fill in the missing numbers. 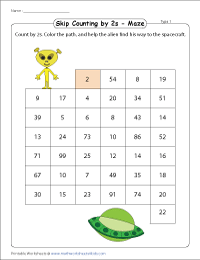 Engage the children with these colorful maze worksheets. Skip count by 2s to complete the maze puzzles. 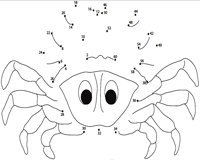 This section comprises of dot-to-dot numbered worksheets with skip counting in 2s. Join the dots to reveal the hidden picture and color it.